There has been a church on this site since early Saxon times. The remains of St Cuthbert were housed here when they were first brought to Durham in the 10th century. 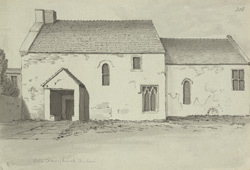 In 1637 part of the medieval edifice collapsed and the church had to be rebuilt. The tower was added in 1703.